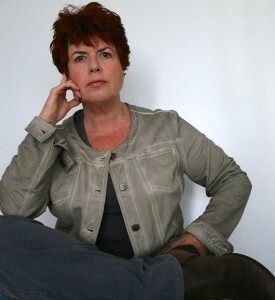 Marjolein is the Editor-in-Chief of Pilatesglossy. She tells why she loves doing and teaching Pilates so much, she explains why she started this (and the one in Dutch) online magazine and why she is passionated about plantbased food. A switch in my career. I am a Dutch woman (59), the mother of a very beautiful daughter (29) and I live with my sweet husband and lovely dog in The Netherlands. Since 2009 I am a certified Peak Pilates instructor. At the age of 50 I decided to make a huge career shift. For almost 30 years I was a fulltime teacher (Vocational Education), but in the middle of the economic crises I decided to quit my job. Within one year I had 20-25 clients per week for 1-on-1 sessions on the apparatus! Now I teach 6 days a week 35 or more hours, privates, duets and groupsessions. Friends and family pointed at their foreheads; they thought it was very unwise to give up the security of my job. But I was stubborn and unstoppable. My faith in Pilates gave me the trust that I would succeed. I started my own Pilates Studio in my home. First I owned only 1 Reformer with a Cadillac part, but now I have not only a wonderful private homestudio with a Cadillac, a Reformer, a Chair and Stall Bars, but also a big studio in the center of our city (Zoetermeer). I like to work-out 5 times a week in my private studio and I teach 6 days per week in my beautiful studio in the center of our town. My second studio is also fully equipped with apparatus and there is enough space to teach small groups up to 12 clients. The studio is filled with Reformers with Cadillac part, a Ladder barrel, a Chair, a Pedi-Pole, a Spine corrector, 12 Small Barrels, 12 poles, 12 Sand Bags, 7 MVe-Chairs, a Foot corrector, many Magic Circles and much much more. Every week I travel to Rotterdam for 2 great (and very sweaty) workouts with my wonderful Pilates instructor Javier Velazquez. I am so very lucky to have him as my trainer! He rocks! I am very fortunate; I can plan my day the way I want it and I love what I do. No regrets at all; I never miss school, the security and those long holidays. Even when I teach classes at six’o clock AM! 😉 I adore the freedom I have. I work hard, but my studio is my playground; I workout on beautiful apparatus and I am more flexible and stronger then I was at 30. Every day when I wake up, I have to pinch myself. My work is my hobby! It is wonderful to make people more healthier, happier and fitter. The only thing I have to control is not to work to much; it is hard to say “no” to a new client in pain while I am already fully booked. I am so blessed with the fact that I found Pilates. It relieved a lot and healed some of my severe physical problems like Ankylosing Spondylitis, Arthritis, Arthrosis, Hyper lordose, Scoliose, a mild kyfose, Inflammatory Bowel Disease. For more then 45 years I was in a lot of pain. Every day! I couldn’t walk more then 30 minutes or stand more then 5 minutes. I walked with a stick with a saddle on it; I had to sit and rest during my walks! You don’t believe this if you see me now and see me workout! It is a miracle thanks to the genius Joseph Pilates! I am forever hooked! It is my strong belief that a plantbased diet is very healthy for us and for the environment. I also think it will help resolve economic problems, the hunger in the world, the cruelty against animals and eventually it will support worldpeace. For the last 4 years I don’t eat anything that comes from an animal or insect, so no meat, fish, poultry, cheese or other milkproducts, eggs, honey and I don’t use cosmetics with animal ingredients. 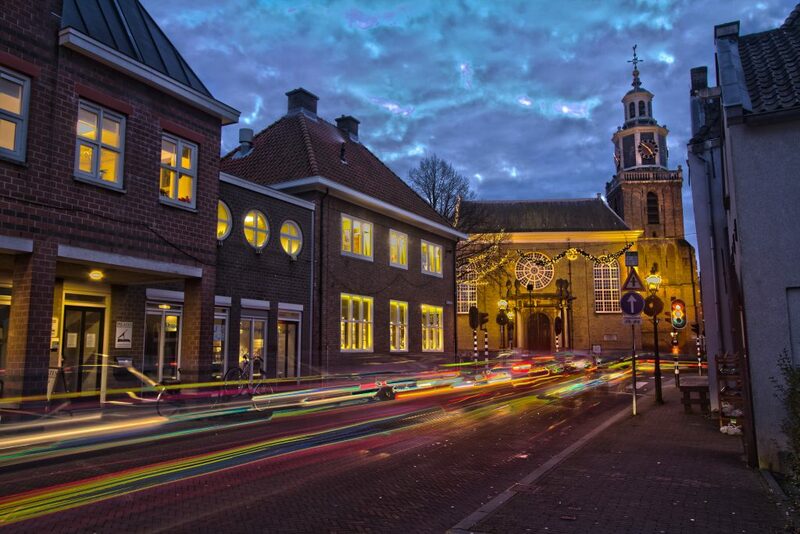 I am a student of “The Art of Life school” at the Kushi-institute in Amsterdam. (I am a level II Certified Macrobiotic Counselor.) So it is not a coincidence that I will promote a healthy plantbased lifestyle in Pilatesglossy. How could I inform the public that Pilates isn’t Yoga or Relaxercise-thing and that a Pilates session make you sweat just as much as those bootcampers do? And how could I help to build a Dutch and International Pilates community? How could I attract the attention of health insurance providers? What could I do to prevent not-so-ethical-people to ruin the name of Pilates? With knowledge new clients have the power to chose their Pilates trainers/studio’s wisely. So the idea of a Pilates magazine popped up in my mind. Now clients can ask their trainers at the gym why they never do, for example, The Hundred or a Side Kick Excercise. They can ask them why the trainers do the workout themselves during their sessions instead of correcting the clients the whole time. A real Pilates trainer isn’t working out during their classes; he/she is TEACHING and CORRECTING the clients! After some technical trial & errors I was online with Pilatesglossy at the end of 2013. The first magazine was the Dutch version and a month later I uploaded the English version. Now many readers from all over the world found my magazines. I am proud to contribute to the International Pilates community. More and more trainers and others in the Pilates biz or different movement industries are interested and want to participate in this magazine with blogs, columns, video’s etcetera. Pilatesglossy also covers other movement methods, like Do-in, Yoga, Alexander technique and subjects about health, like food, therapies. Kudos to you Marjolein, from one #PilatesOver55 #IWearAllTheHats #LifeIsBetterWithPilates teacher to another! Big hug and smile from New Jersey. Your spirit sings loudly through this testimony and I know the song well! Found your site/blog through the writing of another spirit I loved instantly, Anula Maiberg, and just wanted to give applause. It always feels wonderful to “meet” another of similar experience, heart and community. Best wishes in your continued good work.